Up to 2 Months of Blooms! Large, 4-5" rounded panicles cover this mophead type beginning in June (much earlier than its contemporaries), and last a long time in the garden. 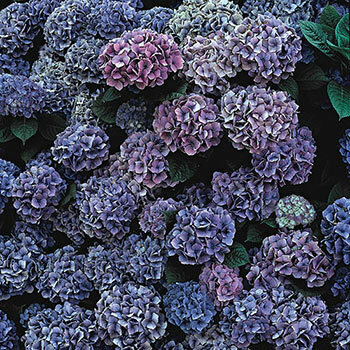 Flower clusters appear either pink or blue, depending on the acidity of the soil. Makes a stunning border plant or woodland garden addition. 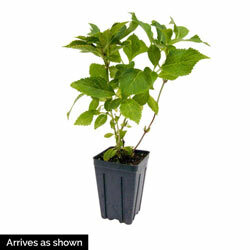 Foliage Type: Medium green ovate leaves 4-6" long. Planting Instructions: Mulch to maintain soil moisture. Soil Requirements: Well drained humus rich, acid soil. Pruning: Remove any winter damaged wood. May trim to shape. Winter Care: Plant in a sheltered area in Northern zones and mulch well protecting the .